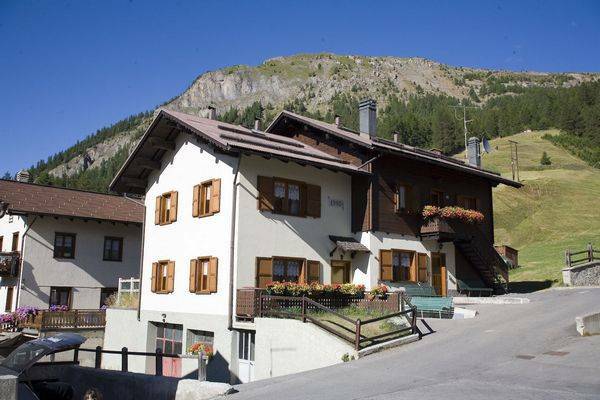 We are glad to welcome you to Li Pont flats in Livigno. The House is in a pleasant, quiet and sunny place. From here you can easily reach the town centre, the ski slopes, the cross-country skiing tracks, the cycling and walking lanes, which run along the river e the footpaths of our valley. It is the ideal place for family holiday either in winter or in summer. Our flats furnished in a typical alpine style are cosy and warm with all the conveniences you need to really enjoy your holiday. They both have satellite, LCD TV, a well equipped kitchen with dishwasher, washing machine, independent heating system, private entrance and skis and bicycles depository. We are open all year. It also possible to rent the flats for short periods in the off-season.